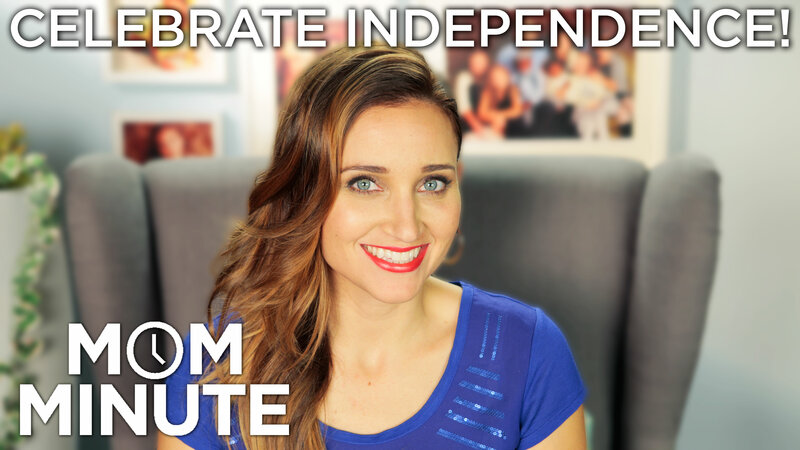 Just in time for Independence Day, on today’s #MomMinute we are talking about how we as parents can help our children learn confidence and independence at a young age. I have been there, as a first time parent with twins, constantly hovering over them wherever we were. I was ready at the blink of an eye to swoop in and “rescue” them from falling down, dirty binkis, older kids bopping them with toys, etc. The whole “letting our children fail while the price tags are little” is something I feel very strong about. It is very similar to us as kids when our parents cautioned us not to help the butterfly out of its cocoon, because doing so would weaken its wings and it wouldn’t be able to fly away from predators. The sooner our kids learn life’s lessons, even if they are somewhat muted while they are little, the sooner they will be prepared for the reality of a sometimes “harsh” world out there. What ideas do you have about how to teach children independence? Other parents would love to hear from you, so please leave a comment below!